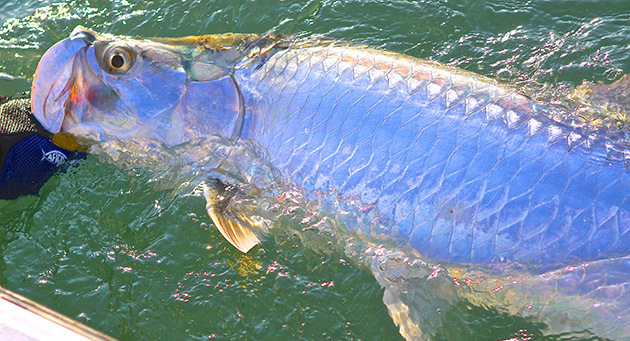 To many anglers, the pursuit of tarpon in pristine waters is the stuff legends are made of. And so it should be, because nothing can be more exhilarating, frustrating, satisfying or maddening than to chase these giant fish with a fly. These majestic fish have migrated though the Florida Keys for eons and have been sought by anglers from all walks of life. 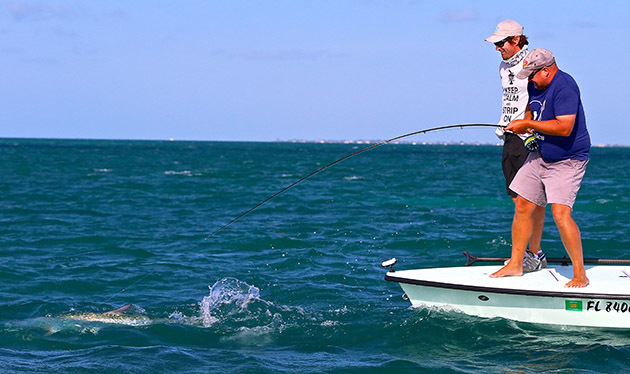 This game has been elevated to new heights by the experienced guides and anglers who tirelessly pursue the chance to pit their skills against the ancient instincts of the tarpon. The new TV series, Silver Kings, will take you along for the ride as two dedicated Islamorada guides, Captain Bou Bosso and Captain Rob Fordyce work passionately to put their anglers in the winner’s circle while competing in four of the Key’s most prestigious fly-fishing tournaments. Nicky Runnels, the show’s executive producer took some time to fill us in on his goals for the show and how the shoot went down. He said, ” Islamorada is such a unique and beautiful place and the people there are so passionate and hard working in their pursuit of tarpon. 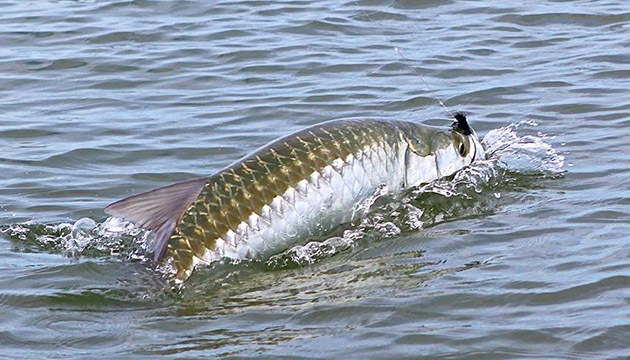 Anglers flock there to hone their skills, or check “tarpon on fly” off their bucket lists. Filming during the tournaments brought the best guides from the entire area to Islamorada and heightened the raw emotions of competitive tarpon fishing. It was a challenge to do our job to capture the heat of battle, while not getting in the way or making anyone mad. I think we pulled it off. We spent five weeks on location and the support of the community was amazing. 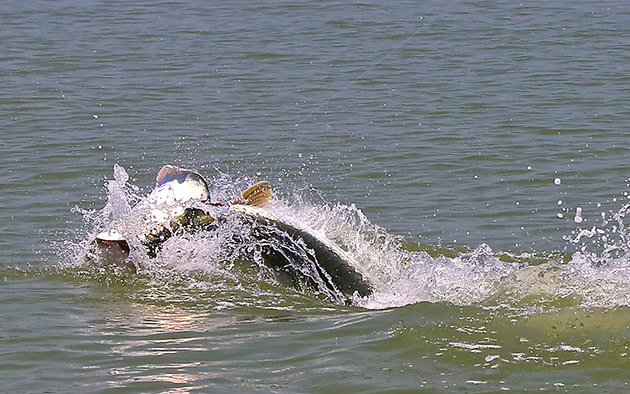 One key draw to fly-fishing tarpon is when the full force and weight of the fish is in your hand; It’s like lightning in a bottle. Silver Kings will let you experience the beauty and power of Mother Nature and the ecstasy and agony that is interwoven in this world class fishery. The new series will debut October 4th, this Saturday on Discovery’s Destination America Channel at 7:30 AM CST. Here is a sneak peak Season 1 trailer of Silver Kings. SILVER KINGS 2014/2015 Season 1 Trailer from Brine Media on Vimeo. Be sure to check out the website for more information on the show.